1. Compassion. Kids who grow up with animals understand that animals have feelings, too, and that helps to foster compassion, love and kindness toward both animals and people. 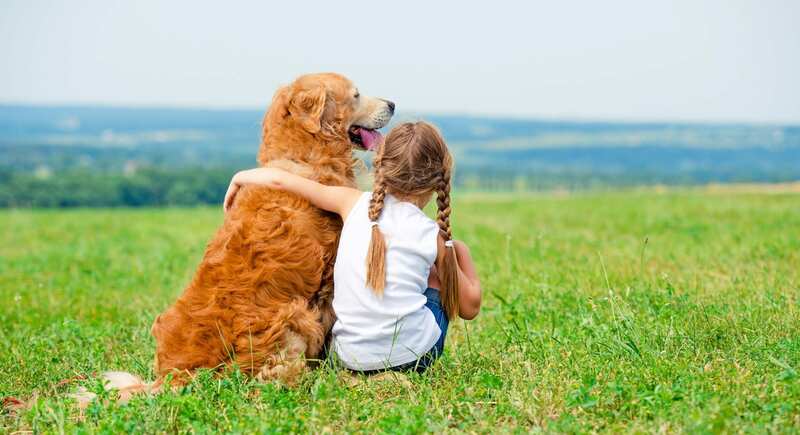 Children learn to have empathy for a pet that is hurting—and they also come to realize they are much bigger than the animal, so they have to be very careful or the animal might get hurt. These lessons in kindness and sensitivity then translate to friends at school and people they encounter in the world as they grow up. 2. Responsibility. Kids who grow up with a cat, dog or hamster in the home learn the importance of feeding and grooming the animal, as well as how vital it is for the animals to have a clean bed to sleep on and clean water to drink. Managing these various tasks really teaches kids lessons in time-management and responsibility. Indigo is now of an age where she can help me feed, clean up after and take our dog, Mystic, on walks. 3. Respect and acceptance. Anyone who grows up with a cat in the house learns fast about respect—respect the cat’s boundaries (and be gentle and kind! ), or you’ll get scratched. Animals are also influential teachers when it comes to teaching diversity about race. Cats, dogs, guinea pigs and so on come in all shapes and colors and sizes—and children learn firsthand that the animals really aren’t that different based on how they look. The same idea holds true when an animal is injured or disabled; kids learn that the cat with three legs is just like the cat with four—which ultimately leads children to have open hearts toward those who might be in a wheelchair or have other physical challenges. What important life lessons did you learn from animals when you were a child? How sweet is this: Superman star Henry Cavill was recently photographed at LAX with his dog Kal-El wearing a blue vest with the words: “Working. Do not pet. Emotional Support Dog.” And it’s also well-known that Ryan Gosling flies with his dog George, a registered Emotional Support Animal, or ESA. Despite some of the bad press surrounding ESAs (did you hear about the woman who caused a stir by bringing her therapy kangaroo into a McDonald’s in Wisconsin? ), as animal lovers, we know how strong that bond with our animals can be and that yes, being with our animal can calm us. And thanks to the U.S. Department of Transportation’s Air Carrier Access Act, ESAs, like traditional service dogs, are allowed in airline cabins. (By law, ESAs are also allowed in apartments that typically turn away pets.) The law does allow for common sense to prevail, however, so if you plan on taking a hyper goat or a 500-pound pig into the economy section on your next flight, the airline will probably turn you both away. Though ESAs have been “on the books” for several years, more people today—not just celebrities—are signing their animals up as ESAs than ever before. Service animals: Service animals, predominantly dogs, are professionally trained to perform major life tasks for someone with a disability; seeing-eye dogs are one common example. But miniature horses—which are highly intelligent, can live for 30 years and are very gentle out in the big, wide world—make great seeing-eye and service animals, too. Another type of service animal is the Psychiatric Service Animal, or PSA. PSAs assist individuals with mental health disabilities, like PTSD. I read in the news once about a PSA parrot (worn around town in a cagelike backpack) that recognizes the onset of a psychotic episode and calms his owner down with words. (Wow!) Goats, ducks and monkeys have also been known to be trained as helpful service animals. Ferrets and boa constrictors, too, can apparently recognize the onset of a seizure so their human can take their meds on time. Emotional Support Animals: These animals, usually companion animals/pets, give therapeutic benefits to the owner through love and affection. They do not receive training but are prescribed by a mental health professional in a letter. This letter, which explains the mental illness being mitigated by the animal, then allows the ESA to fly with their person or the right to live in “no pet” housing situations. 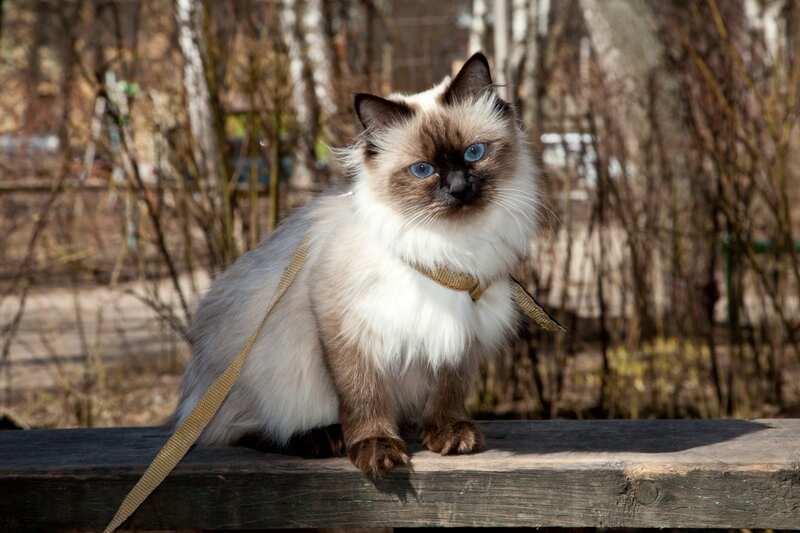 All types of species qualify as ESAs: cats, dogs, bunnies, miniature pigs, alpacas, snakes and others. In her article in The New Yorker, Patricia Marx took an interesting (albeit humorous) look at the controversy surrounding ESAs and the rising number of people now taking their often disruptive animals everywhere for emotional support. Though I believe ESAs have true value, like helping extremely nervous fliers, one quote in the story stood out to me. In it, she quoted Peter Singer, author of Animal Liberation. He said, “Animals can get as depressed as people do [so] there is sometimes an issue about how well people with mental illnesses can look after their animals … If it’s really so difficult for you to be without your animal, maybe you don’t need to go to that restaurant or to the Frick Museum.” Something to think about. Therapy animals: These animals, usually dogs but sometimes cats and mini horses, provide emotional support to adults and children in hospitals, hospice programs and nursing homes. The best therapy animals are “good citizens” that enjoy socializing—like this beautiful white (and deaf!) sheltie that just loves serving those in need. Therapy animals also participate in “animal-assisted” therapy, such as the horses that provide equine therapy to kids with learning difficulties. What do you think about the rise in popularity of Emotional Support Animals? ♥ Love this! This year’s batch of Sweethearts heart candies have some cute new messages, including “pugs & kittens.” The sweet expression was created by a sixth-grader in California who loves animals. She won a contest held by NECCO to include the phrase on this year’s candies. My sister Charlotte has a cat, and she reports her sweet Persian shows love in these special ways: warm head butts and nose kisses, figure eights around her ankles when she walks from one room to the next, and shadowing her every move. When she sits down to work on her laptop, Paddington is right there by her side, cuddling and sleeping with his chin resting gently upon the top of her left hand even as she types. And anytime she’s down or blue, somehow he just knows and arrives just in time for a heartful snuggle. My horses, on the other hand, show their love in less obvious ways—but I believe it’s still there. Shawnee, a senior enjoying his golden years, nickers every time he sees me and gives me a gentle greeting—a soft nuzzle against my stomach. Kodiak, on the other hand, is much too young and macho for such vulnerable signs of love. When he sees me across the pasture, yes, he’ll approach—but his greeting is more of a sideways glance followed by a playful push against my arm with his muzzle. It’s sweet but tough. But they both get extra loving when I bring carrots (of course). There are some scientific reasons to explain our animals letting us in by letting their guard down. 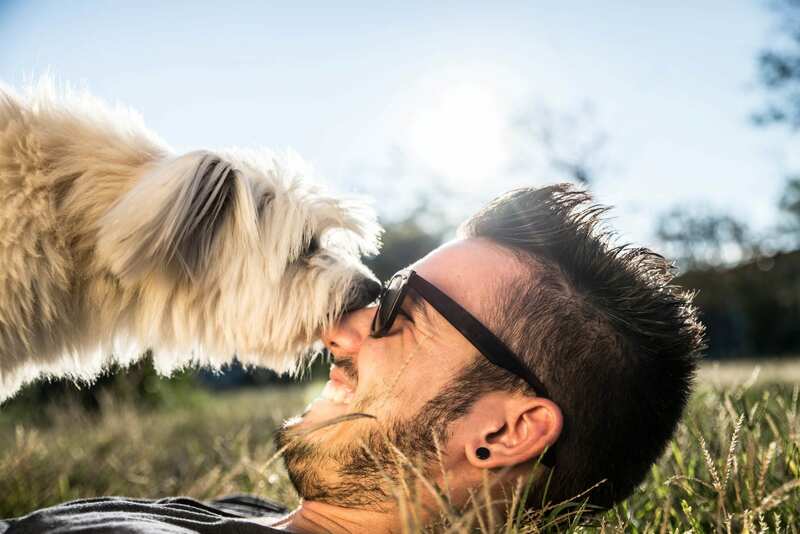 This article goes into that, along with five common signs your dog loves you. 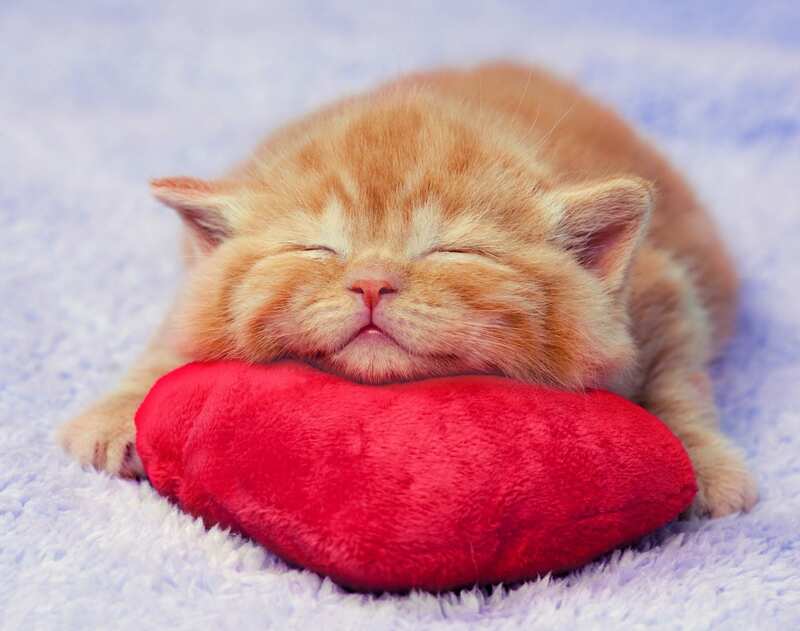 For the cat lovers out there, do you recognize these 10 signs your cat loves you? And, no, I’m not forgetting my ferret parents out there—here’s a roundup of telltale signs your ferret truly loves you. I’d love to hear: How does your special animal show his or her love for you?